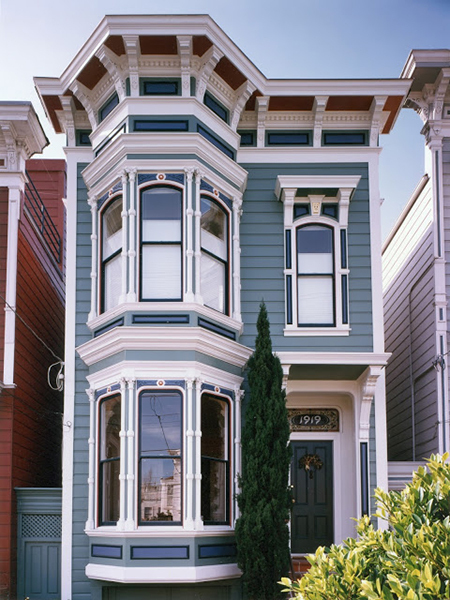 Colour Studio principal Jill Pilaroscia played a pivotal role in San Francisco’s colorist movement, which spawned the popular “Painted Ladies”—fancifully painted Victorian houses for which the city is now famous. These houses are beloved by visitors around the world, but many don’t know the history behind them. Painted Ladies on Steiner Street in Alamo Square, also known as "Postcard Row." 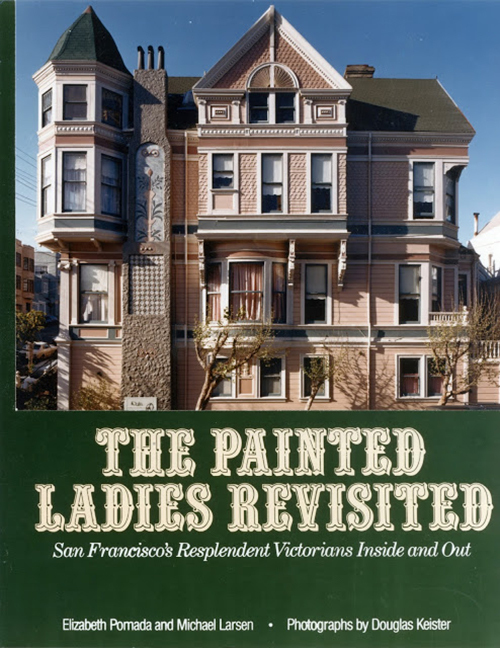 To begin, it's important to note San Francisco's role as a "unique architectural museum," writes “The Painted Ladies” book series authors Michael Larson and Elizabeth Pomada. Between 1850 and 1945, 48,000 Victorian houses were built in the city. After the 1906 earthquake and fire, some 16,000 original houses remained; more modest and mass-produced homes were built on the western and southern sides of the city. The colorist movement began in the “Psychedelic ‘60s” in San Francisco’s Haight Ashbury neighborhood, the heart of the counterculture of the time, Pilaroscia explains. "People wanted to show their joie de vivre and express their individuality through restoring and painting these beautifully ornamented buildings." Homeowners and professional housepainters adorned their Victorians in numerous whimsical colors, from vermillion and cobalt to gold and turquoise. 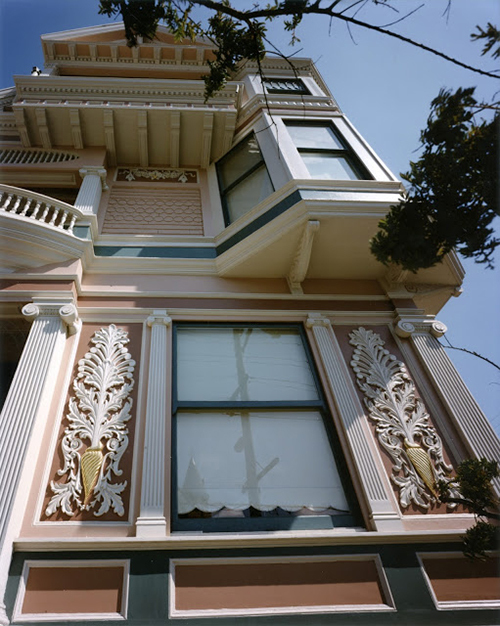 Strong color was used to differentiate architectural detail and ornament typical of the period, including fanciful gingerbread trim and light-capturing bay windows. Color was used to accentuate the asymmetrical facades and detailed patterns that architects of the period used to distinguish buildings from one another. As the Christian Science Monitor reported in 1987, “What started as a lark became a local then national trend." 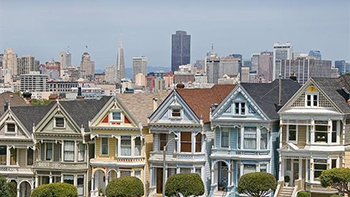 The Painted Ladies effort eventually spread to nearly every American city with similar architecture, with notable concentrations in St. Louis, Baltimore, New Orleans and Cincinnati. Pilaroscia mixing colors in the early days of the Painted Ladies. Pilaroscia began mixing her own colors in 1975 after graduating from the San Francisco Art Institute, joining a “boys club” of local colorists/painters. 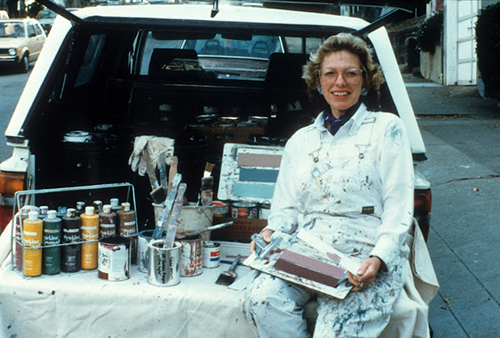 “I had to be able to do everything they did,” she remembers, including mixing paint in the back of her truck and climbing scaffolding to apply it. Pilaroscia's color scheme for 700 Broderick uses warm terra cotta tones and features a subtle faux finish on the massive chimney. Customizing color for these detail-rich structures was no simple task. “Victorian architecture provides many planes for color,” Pilaroscia says, “and each client wanted their house to look different.” In devising a color palette, she took cues from the house’s architecture to create a balanced, unique scheme. Pilaroscia's design for 700 Broderick Street sparkles with 23 karat patent gold leaf. The house at 700 Broderick Street in San Francisco is a case in point. For this Stick/Eastlake structure, Pilaroscia hand-mixed each color based on the house's colorful stained glass window. The overall palette grew from those hues, she says. It was a study in cool and warm. Pilaroscia's 1919 Pierce Street color scheme painted by Local Color Painting. Pilaroscia states, "It was a privilege to be in involved with the Painted Ladies and the colorist movement. It allowed me the opportunity to contribute to San Francisco's beloved and dynamic visual landscape." Lovely details in these color schemes. So fun to learn about the history of the colorist movement. I greatly appreciate detailing contrast. Knowing all comes at a cost, it would be good to understand at what (square foot range) cost one incurs for such as well as timing for touch-up and repainting expected.